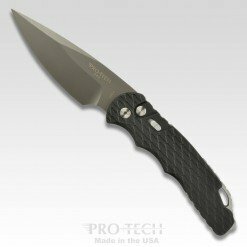 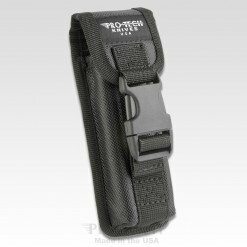 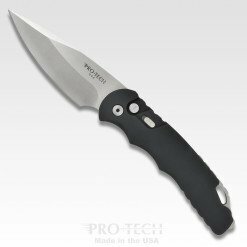 Smooth black handle with slide safety, special DLC Tiger Stripe pattern blade – plain edge, all black hardware, and DLC black coated titanium clip. 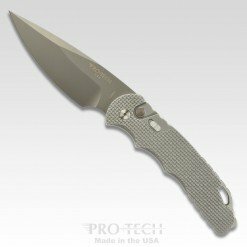 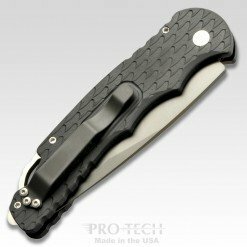 The Strider/Pro-Tech SnG automatic knife collaboration offers everything you love about the Strider SnG folder, coupled with the superior coil spring automatic action that Pro-Tech knives are renowned for. 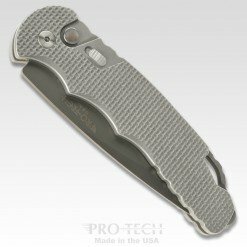 Painstaking steps were taken to keep as close as possible to the iconic original SnG design – these Pro-Tech models even feature the hand made titanium clips like the Strider custom pieces! 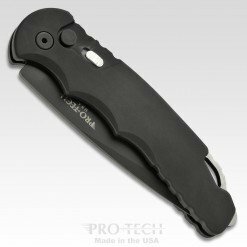 Production models of the Pro-Tech SnG knives are offered with super tough 7075 aluminum handles and a nice variety of finish treatments. 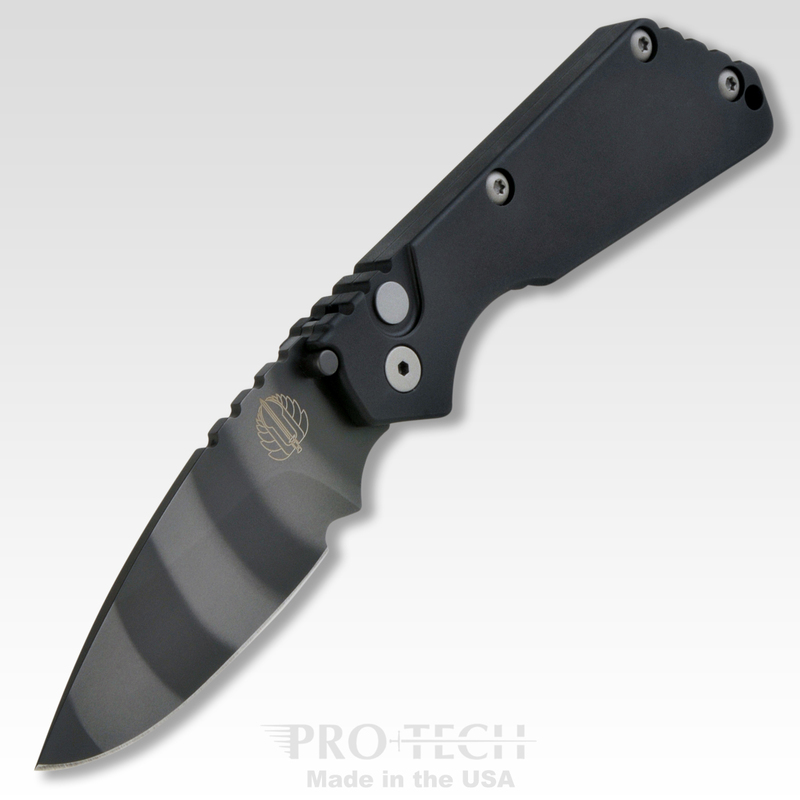 From time to time we will produce small quantities of AUTO SnG custom pieces with steel/G-10 or titanium frames.